I’m sure you’ve heard of the proverbial “snake in the woodpile”, right? Well, as the Lord God would have it, this, our third letter to you, is focused on addressing yours. Now to be completely honest with you, my first letter, as directed by the Father, was done in total innocence. 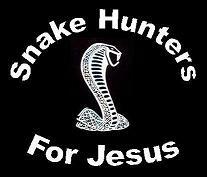 I had no earthly idea that He was going to use it to expose your snakes! 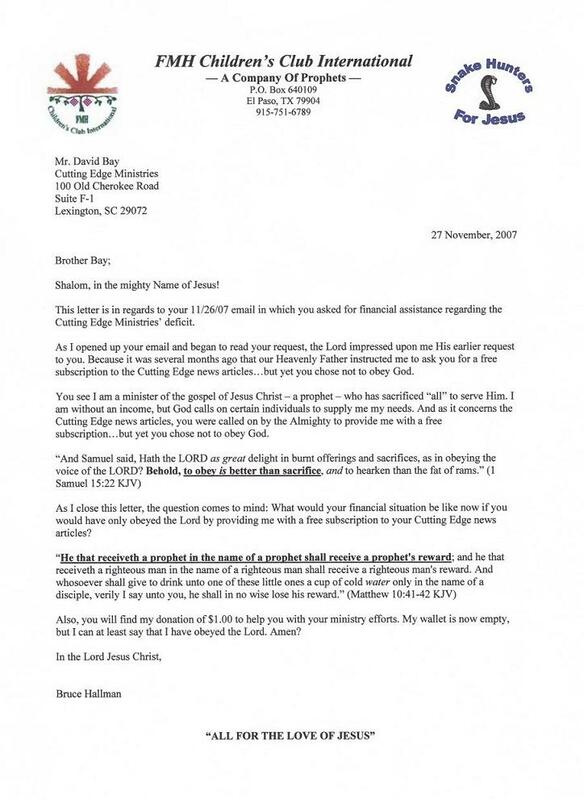 I mean, who would have ever thought that you would refuse to obey God’s simple little instruction to donate a Cutting Edge Newsletter subscription to a prophet in need? After all, it would have cost you absolutely nothing. So why didn’t you do it? Cutting Edge Ministries is rather stalled right now, and we need your help. Without warning, and almost overnight, our total income from subscriptions, donations, and bookstore sales have fallen 75%. But, our daily readership remains very steady at historically high levels, about 30,000 people per day…The harsh reality is that Cutting Edge has never been able to retain a cash cushion of more than 7-10 days of average income for the entire 12 years we have been an Internet ministry. Contrary to false rumors circulating the Internet, we have never been a "deep pocket" ministry; in fact, the opposite has always been true, as we have operated successfully during these years as a "Daily Bread" ministry, dependent upon daily income to meet our needs. In our office, we only have four employees, one of which is part-time…All of us live in a modest home, none larger than 1700 square feet. The point is, no one in Cutting Edge is getting rich; rather, we are just trying to do the Lord's will in continuing our effort to maintain this site, so that 120,000 people per year can continue to read a Salvation Page. Because our finances have been so tight, we have had to turn down offers to set up a Cutting Edge website in several languages other than the current English, Spanish, Portuguese and Finnish; therefore, people who read but never support are preventing us from reaching out still further with our unique message and with the Gospel in our Salvation Page…If you wish to make a contribution, you can use our electronic Subscription Form, call us at 800-451-8211, or mail a check or money order to: Cutting Edge Ministries, 100 Old Cherokee Road, Ste F-1, Lexington, SC, 29073. We really need your assistance and we need it now. Can you help? So what does it all mean, Brother Bay? God has given you the Cutting Edge Ministry for His glory and not yours. Please correct your ways before you lose your way…forever!